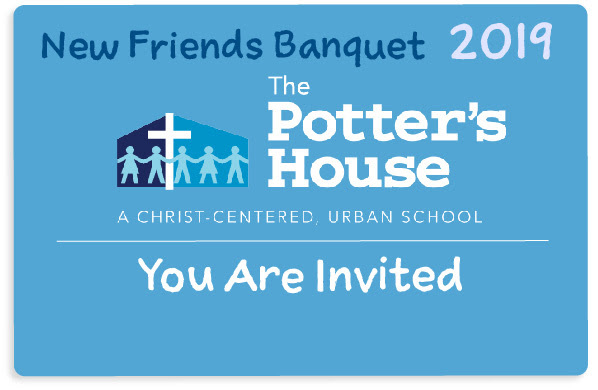 Our New Friends Banquet is an annual celebration of the amazing work that God is doing in the lives of students through The Potter's House. Come to hear from students, teachers, and staff how God is transforming children, young adults, and communities through the work of the school. This is a free event for all those interested in learning more about the work of The Potter's House. If you would like to attend and/or host a table, please fill out the registration form below.